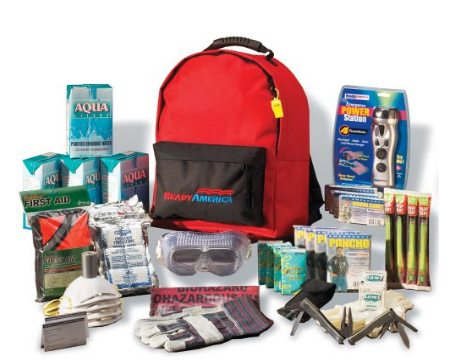 Recent events have caused many of us to think about emergency preparedness. Hurricane Harvey only recently exited Texas and Hurricane Irma is in Florida as I am typing this. There are almost too many wildfires in the western United States to count -forcing people to evacuate their homes. Whether we are talking about emergencies as devastating as these or emergencies as small as a flat tire on the side of a dark highway, we need to be prepared. There is a list of things that need to be included in our preparations, but today I want to talk about headlamps. I believe that headlamps are a required item when talking about safety and being prepared. Headlamps are battery operated, hands-free "flashlights" that attach to your head by an elasticized headband. Why is a headlamp important when we all probably own flashlights or candles? I too own an assortment of candles, flashlights, and lanterns (gas, battery, and solar operated). So why do I highly recommend purchasing an additional item for emergency lighting? I depend on my headlamps when I am camping at The Shack. I carry one with me in the Jeep, in the event of a break-down on the side of the road. The headlamp attaches to my head and I can use both hands for whatever I need to do. Imagine changing a tire in the dark, while trying to hold a conventional flashlight. Now imagine changing a tire in the dark, while a beam of light automatically shines on whatever you are facing. I love candles and always have a large selection on hand. But there are times I do not want to risk an open flame. Lanterns are great for lighting large areas, such as rooms, but more difficult for any activity that requires light focused on a specific area or activity. My lanterns also seem to burn through fuel or batteries very quickly. Ladies, for many of us, headlamps initially feel silly. But if you are stranded in the dark and want to use your hands, if you need an inexpensive and reliable lighting source, or if you find yourself outside in the dark, you will very quickly become accustomed to the feeling of having a light strapped to your head. I have had really good luck with the Energizer brand of headlamps. The elastic band is adjustable for my big head. It is also more durable than the bands on other headlamps I've purchased. The plastic pieces on my Energizer are durable. I have broken the piece that attaches the light to the headband on an off-brand of headlamp. 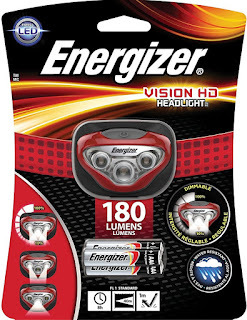 I have had this Energizer headlamp for two years or so. I've changed the batteries once. And I use it for every trip up to the Shack as a primary lighting source as well as for short periods of loss of electricity in my apartment. I highly recommend that we all have immediate access to a headlamp as a part of our emergency preparedness. Heather shares the importance of Emergency Survival Kits (aka Bug Out Bags). In the event that you should not shelter in place, it is important to have your emergency items packed and ready to go in an instant. Heather lists the contents of a good bug out bag. Cynthia Sylvestermouse reviews an emergency power failure light that doubles as emergency lighting that turns on automatically as soon as the power turns off and a nightlight every other evening. Barbara Radisavljevic reviews a battery operated LED light source that she uses: the MalloMe LED lantern. She liked her lantern so much that she was sorry she hadn't bought more. Read why she recommends that particular LED lantern.